Finally, Neowiz fix their Tap Sonic Android version and make it able to run on HTC Phones and I believe many other phones. 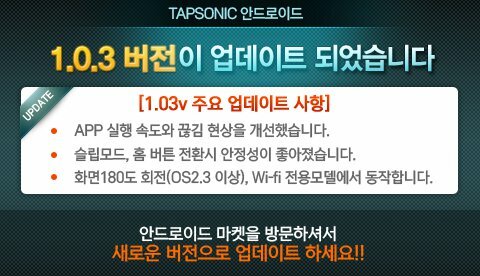 Here, welcome Tap Sonic 1.03! Can run on Wifi only devices. From some forum posts i read, those who update will need to either backup the songs they downloaded, or else you will need to re-download all songs after the upgrade. So beware. Other notes: This version is still Korean version. International version release havent have a date yet. I think they will work on putting the iOS International version first before Android. Anyway, this is just my thought. Tap & Slide, Feel the flow~! Rhythm Action Tap Sonic!! 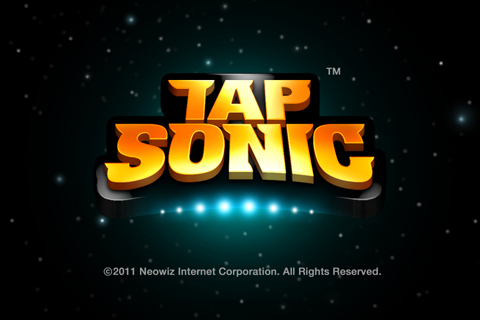 – You can play TAP SONIC only online. – Select game options at the music menu to enjoy various play modes. – The song played in Single Game can be played again in Nonstop Game. – Play the 4-line songs 10 times in Single Game to unlock the 5-line songs. – Play the 5-line songs 30 times in Single Game to unlock the 6-line songs. – Locked songs can be unlocked by completing Challenges. – With a Premium Ticket, you can play selected songs without using Music Points. – You can purchase Premium Tickets in the music menu and Shop. – Purchase Premium Tickets by tapping the ‘BUY’ button for a song in the list. – Songs that say ‘PREMIUM’ can be purchased with Premium Ticket. – Perfect Plays by completing songs without missing any note. – Log in with Twitter and Facebook to show off your skills and amaze your friends. – Using game option, to suit different levels and preferences. – Starpoints can be used for Score Bonus and/or Energy Up items! – Both charge and without-charge songs are constantly being updated. Hi, thank you for the game but how do you purchase music point? because when i hit ‘buy’ button and it asked for my phone number, mobile phone operator and the social security number. you aren’t korean nor living in s.korea, right?